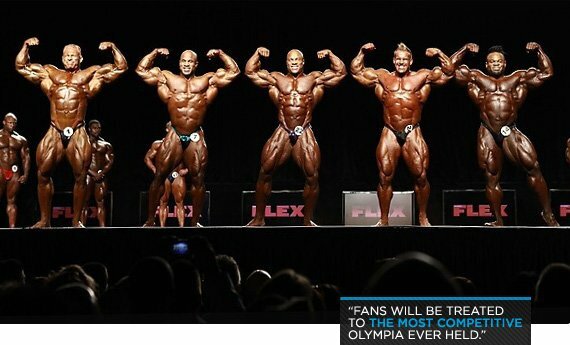 2012 Olympia Weekend: Can Heath Repeat? Mr. Olympia Preview! This year’s Mr. Olympia and 212 Showdown will feature the best athletes in their most ripped states. Who will have the perfect combination of mass and conditioning? Find out here! Along with the prestige and distinction that accompanies the title of World's Best Bodybuilder, the winner of this year's Mr. Olympia will walk away $250,000 richer. If a huge payday was not incentive enough to ensure that a competitor brings his A-physique to the stage, this year's lineup will. The newly established IFBB Pro Olympia Qualification Series has helped to compile one of the best gatherings of top IFBB pro talent ever assembled. Such stringent competition is enough to ensure that all competitors are at their very best. Fans will be treated to quite possibly the most competitive Olympia ever held. Because so many athletes will be in the best shape of their lives, judges may have to increase their Advil supply before deliberating on the rankings. Many outcomes may hinge on the conditioning factor; what separates first from second place may be as marginal as an additional glute striation. There's more money at stake, and more well-conditioned athletes present to flex for it. You can see the full proceedings via webcast on Bodybuilding.com. With his giant shift from 11th in the 2011 New York Pro to 1st in 2012, Cedric McMillan is on target to achieve Olympia top-10 honors. He is wasp-waisted and has a symmetrical and well-proportioned structure to belie his 250 pounds of shredded sapiens. McMillan ranks as one of the IFBB's biggest and, with his recent win, best. Although he still lacks the experience and refinement needed to threaten the major pro guns, he is a viable contender for future Olympias. 2012 has been a stellar year for the Greek-Australian shape-monster Kefalianos. He may not be the most massive man in today's pro ranks, but what he lacks in freaky mass, he makes up for through on-point symmetry and ripped conditioning. Throw in an exuberant stage presence and an obvious love for competition, and you have the makings of a great pro champion. He won his last contest (the 2012 Mr. Europe Grand Prix, where he bested both Johnnie Jackson and Brandon Curry) and placed second in both the 2012 Australian Pro Grand Prix and FIBO Power Germany shows. A top-10 Olympia finish will cap off a breakthrough year for one of the IFBB's fastest-rising stars. From a below-par 16th-place finish at the 2010 Europa Super Show to convincingly winning the 2012 event, IFBB standout Shawn Rhoden is running hot as he prepares to battle the biggest and best pro athletes at this year's Olympia. In 2011, he placed 11th in his first Olympia, hinting that the 2009 North American Championships winner had greatness on his horizon. This year he fully capitalized on his obvious pro potential to secure recent wins at the Dallas Europa and at the Pro Bodybuilding Weekly Championships. Armed with full crisp muscular development and the conditioning needed to win pro events, Rhoden delivers on his promise to bring his best to the stage each time he competes. The Olympia top-10 just became a great deal more competitive. A new threat has emerged and he looks set to shake up proceedings September 29. Though he may not win bodybuilding's biggest title on his second attempt, he just might sneak into the top-6. I have him landing in eighth. If IFBB pro contest scoring was based on muscular proportion and complete development alone, German block of granite Ronny Rockel would be almost impossible to beat and would surely have snatched at least one Sandow by now. Rockel is blessed with full muscular development from origin to insertion. He placed a career-best sixth at the 2010 Olympia and ninth in 2011, to go with several pro show victories and numerous top-3 placements. He's known for having a balanced physique. But this symmetry may be a disadvantage; without any freaky body parts, he tends to fade into the background in many lineups. However, Rockel regularly challenges the sport's best. At this year's Olympia, look for him to once again break into the top-10. Current IFBB Pro World Masters Champion Dexter Jackson will be in the 13th Olympia contest of his 14-year pro career. Jackson's established veteran physique is known for being consistently "on." The wily 3-time Arnold Classic winner and 2008 Mr. Olympia presents a perfect package of densely packed muscle. Although he's fallen back in recent years, his 2011 Pro Masters win shows that he still has what it takes. This year he will at least place seventh. If any of the following guys miss their marks, he should be in the top-6. Jackson and defending champ Phil Heath are the only past Olympia winners in the field. If there is one pro bodybuilding athlete who has the physical attributes needed to leap from relative obscurity into Olympia title contention, it's Lionel Beyeke. Although he only has five pro outings under his belt, the Frenchman's perfectly-proportioned body appears tailor-made for Olympia success. His win at the FLEX Pro Championships this year demonstrated that his freakish, but not overwhelming mass, symmetry and balance make him prime for Olympia contention. Beyeke can stand toe-to-toe with any competitor. Look for him to place sixth or higher at the annual amalgam of muscle. Wolf's top-tier pro bodybuilding rivalry with Branch Warren does not capture the headlines like Coleman-Cutler or Cutler-Heath, but it pits two of the most diametrically-opposed physiques on today's pro circuit. Though either man is fully capable of beating the other, Branch always manages to bring that little extra in the mass department to seal the deal and walk away as victor. However, many argue that Wolf presents a physique that is closer to the pro bodybuilding ideal: a small waist, ultra-wide lats and shoulders, classic lines and arguably better symmetry and proportions. At 270 pounds, Wolf doesn't fail to deliver sheer mass. His unsurpassed width makes for a most-muscular pose that never fails to bring down the house. Branch Warren can never be ruled out of title contention. He won the Arnold Classic the last two years and has been a top-3 Mr. Olympia competitor three times. From off-season ball of muscle with no lines to speak of to shredded mass-monster with an overwhelming physique, Branch is known for transforming his body into a beast to be feared. Not the prettiest display of muscle to be seen on an IFBB pro stage, the Branch Warren physique is no-nonsense, blue-collar and super-imposing. He has some of the best legs in the game and grainy conditioning that hasn't been seen since the great 6-time Olympia winner Dorian Yates stalked the stage. Warren is a fan favorite, but can he win the Olympia title? Probably not, but he will always bring his best when it counts. 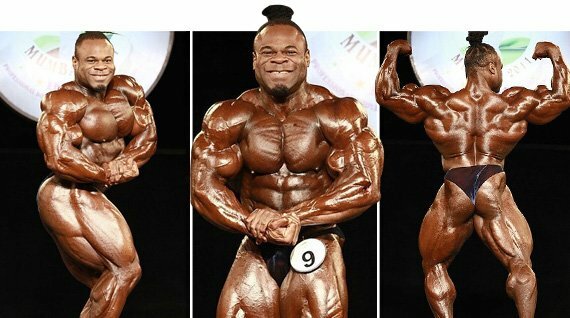 Kai Greene automatically qualified for this year's Olympia with his third place finish in the 2011 Olympia. Expect him to be bigger and better than ever. As a 2-time winner of the Arnold Classic, Australian Pro Grand Prix and New York Pro events, Greene is the proud owner of a rarely seen combination of mass-monster muscularity, flowing lines and near-perfect shape and symmetry. He tends to dominate lineups that do not feature Cutler or Heath. 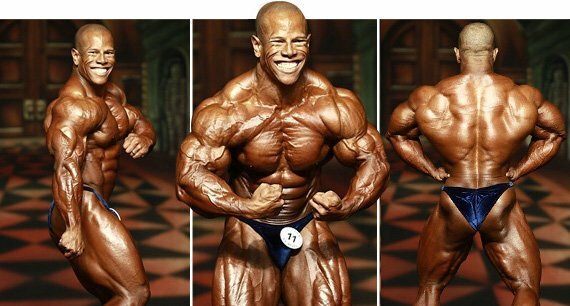 Though his 3rd-place finish at the 2011 Olympia was somewhat controversial-many believed he deserved second place over Cutler)-he has never quite fulfilled his Mr. Olympia potential. When he does, it's likely that a new Mr. Olympia will be crowned. He has the kind of muscle density that is impossible to build without a solid genetic foundation and the God-given talent to become, proportionally, one of the largest bodybuilders of all time. 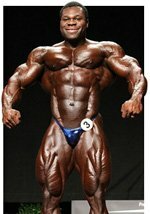 Can he put it all together in 2012 to overcome the human roadblock that is Phil Heath? All will be answered September 29. Phil Heath's ascent to the top of the bodybuilding world has been nothing short of astounding. At 32, Heath is relatively young for a top-ranked pro bodybuilding champion, much less an Olympia winner, and he continues to improve with each contest he enters. As the current Mr. Olympia, bodybuilding's most gifted athlete automatically qualified for this year's event the moment he was handed his coveted Sandow. The ultimate win gave him ample time to train, grow and improve. A bigger, better Heath is bad news for any competitor hoping to wrest the title from him. Heath's competitive advantages are numerous. His chest, back, arms (probably the sport's best ever), legs and shoulders are all perfect. Though once inconsistent with his conditioning, he has nailed this aspect of his prep. He's as super-shredded as anyone competing at his level. Heath is the odds-on favorite to reclaim his Olympia title; he should again reign victorious in 2012. Florida's Tricky Jackson won a handful of 202 events since 2009 and began his 2012 campaign with a 2nd-place finish at the Dallas Europa Super Show. At 44-years-old, he has proven that age is no barrier to pro bodybuilding success. If anything, the former America's Got Talent contestant is better than ever. Jackson has a physique that might be described as more aesthetic than massive. When he's shredded, regardless of what show he enters, he usually lands in the top-6. Continuing this trend, he should have no difficulty earning a spot among the top standings in this year's 212 Showdown. 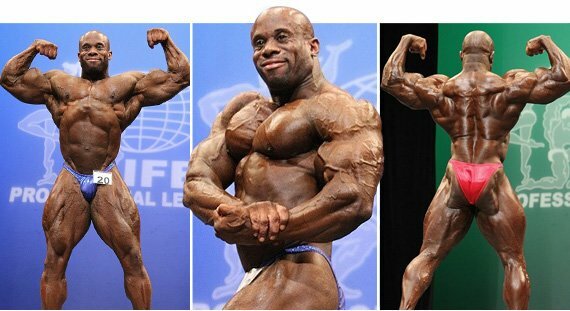 A 2011 pro rookie, Al Auguste has made one of the most impressive transformations of any IFBB competitor in recent memory. Last year at the Olympia, he placed ninth. But this year, he has victories at both the 2012 Desert Muscle Classic and Europa Show of Champions. To continue his winning ways, Auguste's slick moves and muscle-packed physique should garner him a spot in the top-5. Thickly-muscled and conditioned to perfection, Jose Raymond is one of few men who can match current 202-pound Olympia champion Kevin English muscle-for-muscle (with the exception of his leg development). Raymond has a raft of first and second-place finishes over his 4-year pro career, but he's always in the hunt for a new title to add to his ever-growing collection. Perhaps a little too blocky to beat either English or Henry, but he will definitely come out swinging. James "Flex" Lewis began his most successful competitive year yet by winning the 2011 British Grand Prix and placing second in the New York Pro and Olympia 202 Showdown later that season. He hasn't competed since 2011 in order to further load his imposing physique with enough muscle to beat the lighter class's best. With possibly the best legs (and certainly the best calves) in the division and a hugely improved back, Flex has firmly established himself as one to watch in 2012. Look for Flex to outshine the opposition en route to his best Olympia outing yet. Climbing to an off-season 280 pounds or more, Kevin English has no trouble bringing the mass to a division known for its more svelte athletes. Since 2009, it's been this mass that makes him very hard to best. With three Olympia wins and two New York Pro victories, the Ronnie Coleman look-alike (albeit, 60 pounds smaller) is famous for his width, boulder shoulders and untouchable leg development. I have to go with David Henry on this one, though Kevin English has certainly proven himself an able and credible Olympia champion. Henry's spectacular win at the Dallas Europa Super Show showed that he's back in shape and that he's re-positioned himself as a legitimate threat to English's current stronghold. When he's in shape, Henry's muscular density combined with his crisp definition and aesthetics are seldom matched. Now that he is back, he's ready to beat the best, but it will be close!